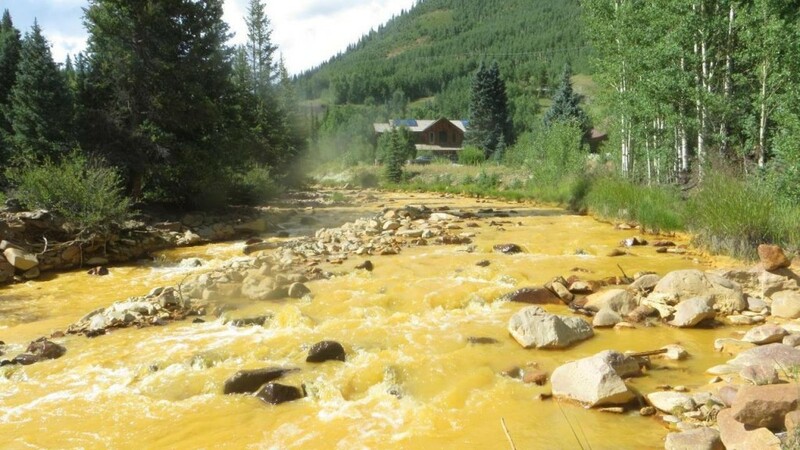 Ever since the EPA accidentally dumped 3 million gallons of toxic mine water into the Animas River, Colorado authorities have been keen on reopening the river for public use as soon as possible. The river is a significant source of tourist income in the region, and they don’t want the toxic spill to put a damper on their summer. Governor John Hickenlooper is one of those authorities, and he’s determined to prove that everything is back to normal. So on Tuesday, after being given the challenge by the Durango Herald, he decided to take a big gulp of river water for the cameras. After 24 hours, he reported that he was still in perfect health. However, that hardly proves that the river is safe, at least in the long term. Granted, the EPA has tested the water and found that its toxicity has returned to pre-spill levels, but all of this is based on only a few days of water testing, which hardly enough time to draw a proper conclusion. Even the EPA admitted that during a recent public meeting between themselves and the Governor. Speaking in Durango, Hickenlooper, a Democrat, said a preliminary analysis of water samples taken Friday from Cement Creek – after a plume of mustard-yellow mining wastewater crawled down the river – shows that the water has largely returned to pre-event levels. Concentrations of heavy metals and pH had returned to within normal ranges, confirmed Dr. Larry Wolk, executive director of the Colorado Department of Public Health and Environment. But an official with the EPA asked Hickenlooper to stop making comments about the returning health of the river. “That’s nonsense,” Hickenlooper responded, pointing out that businesses that rely on the river to drive operations are closed. Just one day later, the EPA went so far as to call the water safe for consumption in Durango and La Plata County. Make of that of what you will. It’s probably true that this stretch of the river is now relatively safe, but that’s only temporary. In all likelihood, the toxicity of the whole Animas River will haunt the region for decades. This entry was posted on August 21, 2015 by Amir Alwani. It was filed under health, news, science, tyranny, US and was tagged with EPA.